With just one month and one day to go until the release of Avengers: Endgame, Marvel Studios is starting to take their marketing of the Avengers: Infinity War sequel to the next level. Just take this newly surfaced image of a giant promotional standee for instance, which comes to us courtesy of Reddit user Slodis. Essentially, the design is a variation of the layout we saw on a recently released international poster, only with a big Avengers-A sitting right in the middle. 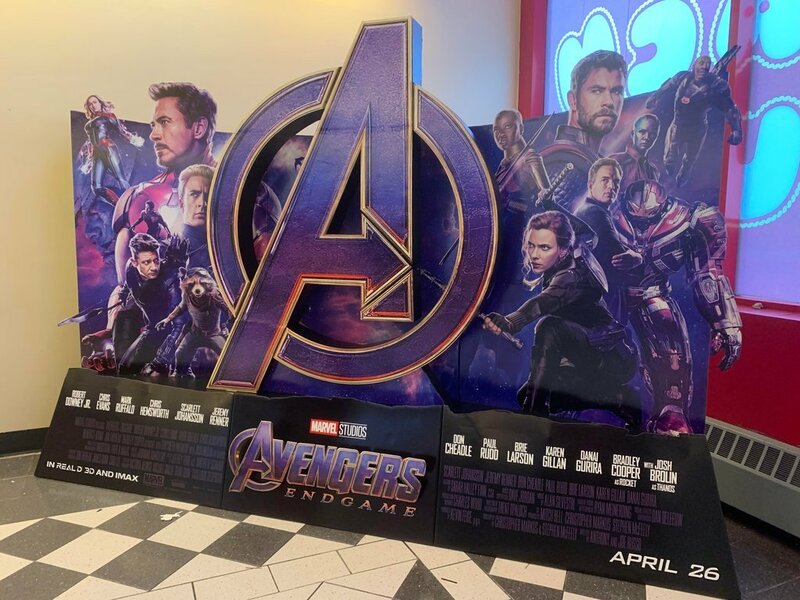 As with much of the marketing material that’s come before it, this standee is going with a predominantly purple and gold color scheme in reference to a certain Mad Titan, whose head is practically camouflaged on the left side of the image. Alongside Thanos, the standee displays the main line-up of heroes for next month’s release, from Phase 1 stars like Iron Man and Thor, to relatively recent additions to the franchise like Captain Marvel and Okoye. The most curious inclusion in the image, however, is surely the Hulkbuster, which is seen standing right behind its most recent user Bruce Banner. While Bruce would be a pretty good guess for who, if anyone, might be operating the Hulkbuster, we probably shouldn‘t rule out the possibility of the suit being worn by a character who isn’t in this image. Pepper Potts, for instance, is already confirmed to be entering the fray in at least one Iron Man-style suit of armor, while Black Panther’s sister Shuri could probably handle a piece of machinery like this, too. Regardless, it’s not long now before Avengers: Endgame provides the answers to this and countless other questions when it arrives in theaters on April 26th.